I’ve been using essential oils for almost 30 years! I was diagnosed with cancer when I was 16… and while it was incredibly hard, it was also a blessing. I learned to honor my health and my body. ditched processed foods and really began consciously looking after my life. Aromatherapy and essential oils were a big part of my transition to non-toxic living and have remained so. While essential oils have become very popular in the last few years, I’ve seen some dangerous trends and recommendations… where oils are being consumed regularly and usage recommendations are nothing short of dangerous. That is not what you get when you work with me. so I could incorporate Aromatherapy safely into my practice. I’m excited to introduce you to the healthy, natural and effective alternatives I’ve come to love. Aromatherapy consults are available separately or can be added onto your functional nutrition consult, energy service or laughter yoga session. Essential oils are aromatic compounds found in the seeds, bark, stems, leaves, and other parts of plants. They are produced when raw plant material is processed and the oils extracted. The undiluted oil is extremely concentrated which means that as little as ONE DROP can be exceptionally potent! Aromatherapy is simply the use of aromatics to support health and well-being. when the use of aromatics was first recorded in human history. you peel open an orange or enjoy the smell of cookies baking… or the smell of fresh cut grass. Diffusing breaks down essential oils into micro-particles that are spread in the air. Most diffusers use water to help disperse and vaporize essential oils. Water is added to the reservoir along with a few drops of essential oils. Essential oils probably exert powerful and direct pharmacological effects systemically via the blood supply to the brain. They also have an indirect effect via the olfactory nerve pathways into the brain. Essential oil fragrance is absorbed through blood circulation and nerve pathways from the sinuses into the central glands of the brain, which control emotional, neurological, and immunological functions. Electric heat and cool air nebulizers can be purchased with timers to produce intermittent diffusion. This reduces the amount of oil consumption, and prevents over-saturation in a room. This is the use of essential oils on hot compress, in diffusers, or in hot water for inhalation. Standard dose is 10 drops. Caution: prolonged inhalation of concentrated essential oils can cause headaches, vertigo, dizziness, nausea, and lethargy. Apply 1-2 drops of oil to the palms, rub together gently and inhale deeply. Benefits: Excellent method for quick and easy exposure to the anti-microbial and other therapeutic uses of essential oils. 1 – 5 drops on hot water in a pot, cover head with a towel, steam face. It takes about 30 seconds for substances applied to the skin to enter the bloodstream. By diluting and applying essential oils topically, we take advantage of the permeability of our skin and can immediately impact our body on a cellular level. Because Essential Oils are concentrated powerhouses, as little as a single drop of therapeutic grade essential oil can be beneficial. Massage can be a beautiful way to experience the healing power of essential oils. Many essential oils have beneficial effects on circulation, both through dermal and respiratory absorption. These oils enhance the circulation stimulating effects of massage. Jasmine, neroli, rose and vanilla in a base of coconut or jojoba oil makes a lovely massage blend. Ginger is warming and promotes blood flow to areas where it is applied. Peppermint and Wintergreen are cooling and pain relieving, but caution needs to be exercised on any areas of sensitive skin. Eyes and face should be avoided. Since pure essential oils are about 70 times more concentrated than the whole plant they MUST be diluted. Dilutions are typically 2% – 10%. For adults, a 2.5% dilution is recommended for most purposes. For children under 12, 1% is generally safe. A 2.5% blend for a 1-ounce bottle of carrier oil is 15 drops of essential oil. The best way to use essential oils in the bath is to mix them first with salts or an emulsifier such as milk or sesame oil. Aromatic bath salts disperse the oils safely into the water, while milk and sesame oil emulsify the essential oil so that it disperses. Without salts or an emulsifier, drops of essential oils will float on the water and then get directly on the skin. Combined with the heat of the water, this can cause dermal toxicity, especially if the oils are of a heating nature. Recommended Herbs in the Bath: The oils that are generally considered mild and safe for bath are lavender oil, clary sage oil, rose oil, geranium oil, frankincense oil, sandalwood oil, eucalyptus oil, and conifers such as cedar oil, fir oil, pine oil, pinon pine essential oil, spruce oil, and juniper oil to name a few. A generally safe dose is 5 – 10 drops, mixed with ½ to 1 cup of salt or emulsifier. Caution: Overuse of essential oils in the bath can cause irritation. Use only mild, non-irritating oils for bath, such as lavender oil and clary sage oil. Take special precautions with applications near delicate skin areas. 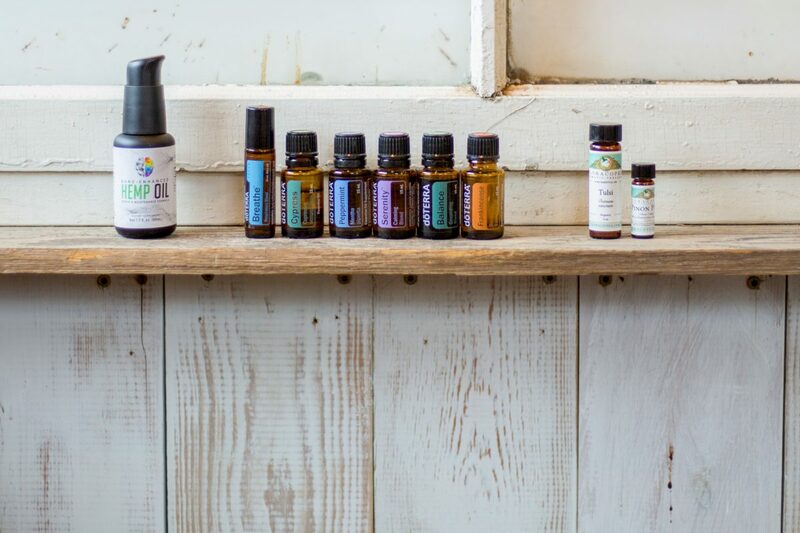 Overexposure to essential oils, especially in confined areas, can cause dizziness, nausea, lightheadedness, headache, blood sugar imbalances, irritability, euphoria. When exposed to high levels of essential oils make sure to keep the room well-ventilated. Air, heat, and light degrade essential oils. Store essential oils in a cool, dark room and always keep your oils tightly sealed. Do not use essential oils on infants, children, pregnant women, the elderly, or those with serious health problems, without the partnership of a qualified aromatherapist or medical practitioner experienced with essential oils. Before experimenting with an essential oil, become familiar with its properties, dose, and precautions. When in doubt about a condition or an oil, consult a qualified aromatherapist or medical specialist. In general, essential oils should NOT be internally ingested. 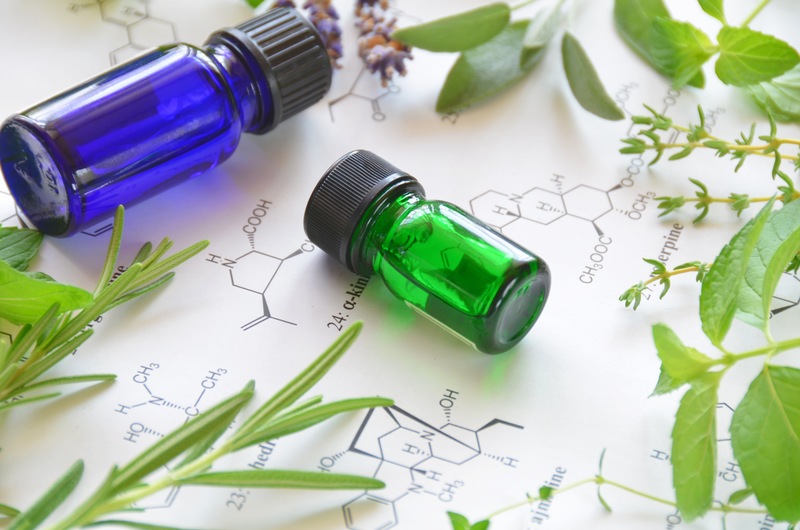 Avoid using essential oils internally if suggested/”prescribed” by a lay practitioner, especially if the practitioner’s education is primarily from a marketing perspective rather than a clinical one. Properly administered dosages of essential oil medications can be prescribed by a licensed physician. European clinics are offering this with growing frequency, but this is not widely available yet in the U.S. Even oils marketed for ingestion deserve caution. A good example of this is oregano oil. Oregano oil is widely marketed for internal consumption, with claims made about its therapeutic efficacy. In actual practice, the internal consumption of this oil frequently causes extreme gastric hyperacidity. For safety, in cases like this, consider the use of oregano as a fresh herb, lightly steamed and added to food to provide all the benefits of oregano oil but at a biocompatible level, with none of the gastric dangers. Essential oils are very concentrated. Dilute all essential oils before applying to the skin, either in a fatty oil or in water as when used on a compress. The first is the use of attars as natural perfumes. In this case, the floral essences are distilled into a base of sandalwood oil, the sandalwood oil acts as a carrier, which dilutes the potency of the pure essential oil. The second is the reasonable use of mild essential oils that have a well-documented history of safety. The best example of this is lavender; however, even lavender can still be problematic for some people. A general rule is to never apply more than one to two drops of undiluted oil to the skin. Patch testing is always advisable. For people with sensitive skin, always test a small area with a diluted oil before applying over a larger area. For general non-medical use, avoid essential oils with highly sensitive skin and with any instances of skin allergies, severe inflammation, and dermatitis. the condition of the skin. It is best to consult with your aromatherapist to discuss any prior history of skin reactions before using oils, either for dermal or respiratory applications. Phototoxicity: Some essential oils can strongly increase sensitivity to sunlight when applied to the skin. This is especially dangerous when applied undiluted to the skin, but even low concentrations in a carrier oil can cause problems if followed by exposure to sun or tanning lamps. Phototoxicity will be much stronger directly after application of the oil and will gradually decrease over an eight to twelve hour period; if higher than normal concentrations are used, it can be longer. Most of the phototoxic oils are also photocarcinogenic. The most common oils which cause phototoxicity are the citruses; bergamot oil is the most reactive. Some citruses are phototoxic if expressed, but not if distilled, such as lemon oil and lime oil. Other oils include marigold oil (tagetes), verbena, and angelica oil. The best practice is to use proper dilutions, avoid direct exposure to UV rays after application, and avoid the use of citrus oils if the exposure will be occurring after treatment. The best treatment for skin irritation from essential oils is to apply a carrier oil, such as coconut, which will dilute the impact of the essential oils. Avoid contact with eyes and mucous membranes. If an essential oil gets into the eye, do not rub it. Saturate a cotton ball with milk or vegetable oil and wipe over the area affected. In severe instances, flood the eye area with lukewarm water for fifteen minutes. Essential oils generally have a shelf life of one to three years. Some get better with age, such as sandalwood oil, vetiver oil, and patchouli oil. The citrus oils are most prone to degradation and should be used within one year. Old and oxidized oils are more prone to cause reactions, especially rashes. Refrigerate fatty carrier oils to prevent rancidity. An aromatherapy consultation begins with you and I going over your intake form, talking about your reasons for seeking aromatherapy, reviewing essential oils & application preferences, and answering any questions you may have. Set aside 45-60 minutes for your consult. Following the consultation, I will create specialized essential oil products to address your specific needs. I may be able to mix some products on the spot, but typically I will need time to go over which oils/products will be best to meet your needs. We will discuss the best way to get the products to you at the time of your appointment. Product formulation typically takes 2-4 days. Your consult fee includes one custom aromatherapy product & a follow-up by phone or email. We will go over the price of each additional product at the time of your appointment. Phone consultations are possible for some cases and for repeat clients. Prices for refills or new products will be determined individually. Aromatherapy is subtle, powerful, natural and effective. There are MANY studies that show the efficacy of aromatherapy for health and well-being. An aromatherapy plan may include inhalation, compresses, topical application and rarely, ingestion. Done properly, it helps to clear and remove burdens from the body rather than adding… and that is one of the ways we get you closer to your balance point. Note: Aromatherapy is most successful in person, but can be done remotely. If you are unable to attend sessions in person then we will meet over the phone or via video conference, I will formulate your aromatherapy treatment plan and email you instructions for blending or create custom blends for you and mail them.